Yay! It’s Friday – have you got the Friday feeling? I know I have! Today is the last day of the Altenew week here on my blog. 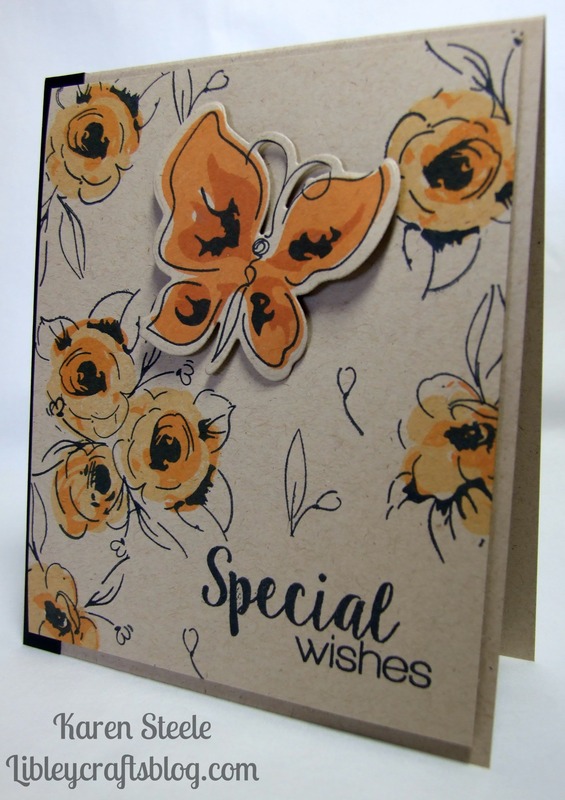 This card has again been made using Painted Flowers and Painted Butterflies and I have used Neenah Desert Storm Card for a change. I really like how this turned out on this card, I don’t use it enough so will be rectifying that in the future! I thought it might be nice to make a little gift bag to go with this which I made using Reverse Confetti’s Tagged Tote Die which I love. I used the following memento inks here : Tuxedo Black, Potter’s Clay, Cantaloupe and Tanjelo. Also, some ribbon and twine and a stamped sentiment from Craftwork Cards. 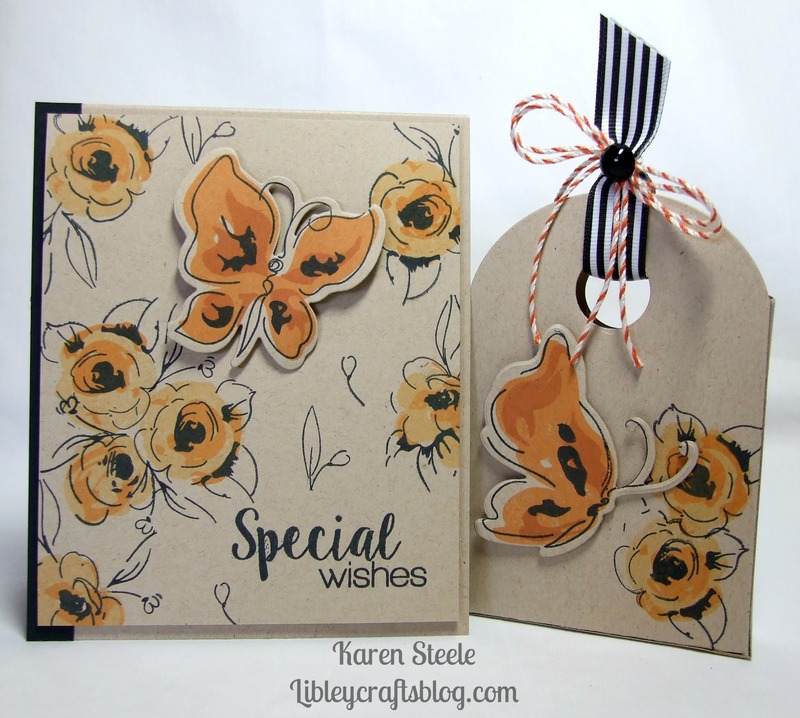 This week has just been about me wanting to share the first cards that I have made using my first two sets of Altenew stamps and the very nice freebie that I got with the latest edition of Simply Cards and papercraft! When I first saw these layering stamps I was a little intimidated by them and didn’t think they were for me. But, you know something…I love them and have got my eye on a few more sets!!! I think the stamps speak for themselves and so cards can be pretty simple in design but look fabulous! The thing is, because of the ‘loose’ style of these stamps it doesn’t matter really if you don’t get them lined up quite right, they are very forgiving. Thank you for stopping by today and if you have been this way during the week – then thank you so much for sticking with me 🙂 I hope you have a great weekend whatever you are doing – I’m going for a rest in a dark room!!! WOW!! What a gorgeous gift set, Karen! LOVE the rich color combo! Beautiful set, Karen ! This is such a great Stamps Set – lovely. Well done – great week of inspiration!! I’ve enjoyed looking at each of these cards you’ve made using this stamp set. It’s so inspiring to see how the same materials can be used to create such different looks. Great job!